After knowing the types of food that we can and cannot eat in our Paleo diet, it’s time to recognize the methods on how we are going to cook them. We are already acquainted that we can eat meat as long as they have been fed with the right food and treated well. There are plenty of Paleo-friendly techniques that can be used to cook our food, preserving its nutrition and infusing them with good taste. But before cooking your food, make sure that it is stored at room temperature so it will cook faster and uniformly. We have gathered a list of cooking methods used by Paleo diet followers. Grilling is one of the best meat cooking techniques in the Paleo world and can be done with vegetables too. It just not cooks the food but also adds a smoky quality that enhances its taste. Just sear the meat on the hottest part of the grill then place it on a medium hot-pot to finish cooking. The meat should be well-browned before turning to avoid sticking to the grill. Get rid of piercing the meat so that the juices won’t run out. Tongs can be used to turn the meat from one side to another. This method is the best way to contain the flavor and nutrition of vegetables which brightens their color and making them tender to bite. Steaming vegetables is better than boiling them. It doesn’t involve any water loss that tends to maximize nutrient content. Braising is a method of cooking which works best with not so tender meat cuts. The meat is cut into serving proportions, browned in high heat and then slowly cooked in flavoured liquids to tenderize the meat. It can be done in a covered pan in an oven or on stovetop with a tight lid. The meat is simmered in water or stock with vegetables and spices and is cooked at low heat until it is tender. Stir frying is a popular technique in cooking all kinds of meat like chicken breasts, steaks, chops, ribs and tenderloins. In stir-frying, the tender piece of meat is cut into thin slices and placed in a sizzling pot with a healthy fat that is heat resistant and stir fry until the meat is cooked. Small amount of paleo-approved oil can be used to sauté or stir fry your food. For vegetables, cook it on low flame when sautéing or with high flame if you are stir frying until the food is tender enough for you. This method required only the meat and small amount of healthy fat. It is a dry heat method and is usually done over fire or electric grill. It is best for tender cuts. Pot roasting is the best used method for large cuts of meat. The meat is first browned in healthy fat then is put in a pot in the oven with some vegetables without the additional of extra oil to roast. 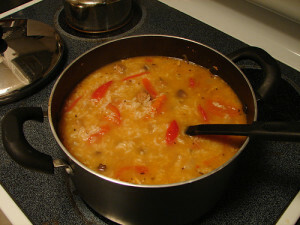 Liquid stock can be added halfway through the cooking process. It can be done in a pressure cooker too. Meats and vegetables are cooked on low temperatures over long period of time. It is basically the same method as roasting but with an oven at a lower 300°F and 325°F. This method is very well suited with tough cuts of meat. The meats that are ideal for poaching are chicken breasts and fish fillets. These meat cuts are simmered in liquid like water, stock or broth. It produces a tasty stock that can be used for the sauce of the dish you are cooking. The whole chicken or fish can be poached too as long as the lid is tight to evenly cook parts that are outside the liquid. The temperature should be low and the liquid is no more than simmering. Pan frying is a quick method ideal for smaller and tender cuts of meat. Just heat a small amount of healthy fat or oil in a pan before adding the meat. The meat is then fried over a hot temperature. Baking is a method of fully cooking the food in an oven. Just about anything can be baked. Proper baking is about baking under the right temperature, right proportion of ingredients and right baking time. Paleo baking differs from the traditional baking through ingredients. With the traditional baking, we are accustomed with using flour, sugar, baking powder and starch which are not used in the Paleo diet. Deep frying is a cooking method in which the food is submerged in hot oil and is normally done in a deep fryer. The food is cooked in extremely hot temperature that may sometimes result to producing toxic fumes and free radicals which are harmful to the body. Therefore, deep frying is not Paleo. Boiling is the most intensive cooking method that could result in great loss of food nutrition. For vegetables, it may not be that bad as not all chemical compounds found in plants are healthy. Boiling can reduce the amount of goitrogen in vegetables like broccoli and kale. Goitrogens are group of chemicals that are not dangerous for most people but can cause thyroid disorder to some. When broccoli is boiled, the goitrogens are destroyed by the heat and goes out in the water. In some cases, boiling can increase the nutrient content of food. Like with carrots, a study showed that it had higher concentrations of antioxidants after boiling. Though boiling preserves some nutrients, most vitamins and other antinutrients are lost when the water is drained. Ultimate Paleo Guide. How to Start Cooking Paleo Today.